Becky Bedbug: Is replying to comments necessary? Hands up: I rarely reply to comments. I know some people think this is hideously rude and ungrateful, but I still don't do it and I resent people making fellow bloggers feel guilty about it. I promise I'm not rude or ungrateful- I've just found that replying to comments doesn't work for me. Let me explain. When I started blogging, I replied to every. single. comment. At first, it wasn't a problem but I soon realised that people rarely come back to check and typing "thanks", "thank you", "thank you so much" repeatedly felt insincere and hollow, which is exactly the opposite of what replies should be. I wouldn't want my favourite bloggers to reply to my comments just because they feel obliged to. 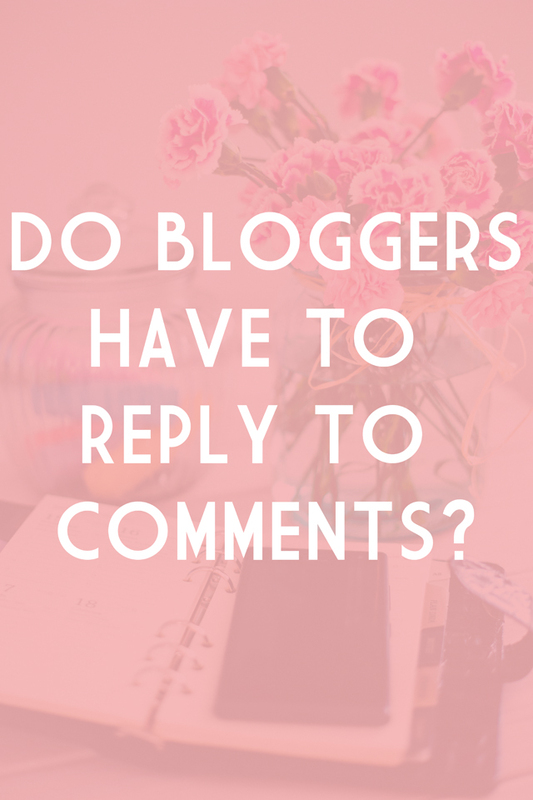 WHY DON'T BLOGGERS REPLY TO COMMENTS? The way I see it, there are two main reasons why people don't reply: Lack of time and lack of things to say. Blogging is a time-consuming hobby. Between taking photos, editing photos, writing the post, promoting it and playing an active role in social media, there isn't time for much else, particularly if blogging is a hobby for you. I know first-hand how difficult it is to work full time alongside blogging and, unfortunately, replying to comments can end up at the bottom of the to-do list. Ultimately, for some bloggers (and I put myself in this category), creating content is a higher priority than replying to people that may or may not return. I can't remember a time I've ever returned to see if my comment has been replied, mostly because I leave comments to support the blogger and am not fussed whether they say thanks. I'm aware that this doesn't mean other people don't return but, unless you've asked a question, there's little reason to do so. This is especially true when combined with the second reason: Lack of things to say. There are only so many ways to say thank you. When comments are particularly meaty, or ask a question, it's easier (more on that later), but when the comments are short, there's not much for you to reply with. I know the fear of sounding insincere certainly puts me off! For some people, replying to comments is easy peasy, but if you're in the group that finds them tricky, there are alternatives that allow you to show your appreciation to readers. I may not reply to blog comments but I reply to every single tweet. It's much more instant than blog comments, and cuts out the middleman (in this case, the blog commenting system). Some of my regular readers will always tweet me their thoughts on a post, and I normally reply within a few minutes. There's a difference between not replying to comments and flat-out ignoring them. If somebody asks a question, or leaves a particularly interesting comment, I will reply. Most of the time, I'll head to their Twitter to reply as I'm not sure if- and when- they'll return to check. As I said earlier, social media makes things much easier as it cuts out the hassle of revisiting particular posts. Something I've started this month, which I'm really excited about, is surprise giveaways. Every month, I'll choose one comment at random and the person behind that comment will be sent a little treat. I've also seen bloggers thank regular commenters with Starbucks vouchers and the like. It's an easy way to give back to those people who return. Ultimately, blogging works differently for everyone, and just because one blogger can commit to replying to every comment, it doesn't mean every blogger can. It doesn't mean they're ungrateful or rude, and certainly doesn't necessitate a guilt trip. As always, find out what works for you and stick to it. If you can't reply to comments, try other ways to thank your readers. Do you have any alternatives for people who find replying to comments doesn't work for them? Leave them below- I might not reply, but it will certainly help other readers! I found this really interesting to read. I only try and post more insightful comments on people's posts and actually keep them in a bookmark folder and check back. Whilst I'm not fussed about most comments being replied to, I do find it quite rude when I've asked a specific question and it gone ignored. I like your approach! Moving the conversation to Twitter is a great idea, as is the rewarding of regulars. I find it hard to reply to comments on my own blog, but I love commenting on others so will usually go and comment on theirs instead! I figure it's a good balance. But I will reply on some posts when I finally get some time! I do often reply to comments but I tend to feel that's to the benefit of the other visitors who might come later rather than to the original commenter if that makes sense? Like you I would rarely return to see if my comment had been replied to. I reply to most of my comments. I think using disqus is beneficial for this, because people get replies direct to their inbox, as opposed to most default comments like blogger where they'll never check back - I know I rarely check back when I comment- like this comment! I was going to tweet you and tell you what I thought about this post but hey, let's buck the trend and comment instead :P I agree with you on pretty much every count! I currently have the time so I do reply to all my comments, but it is very hard to find something other than just 'thank you' to say which can be frustrating because I never want to come across rude! I'll always try and expand on something said in the comment wherever I can! I think like you I might put something at the bottom of my blog/posts to say that I may not necessarily always reply but that I do read all my comments - I love that someone would take time out of their day to leave a little message for me and tell me what they thought of my post/whatever I was writing about! I like that you've provided alternatives to comment replies too - really useful! If someone asks a question or says something a little more than "nice post" I will try to reply back but I've stopped responding to every single comment. Sometimes I just don't have anything to say and I don't think a smiley face is an exciting response. I love that you've written this! The only reason I don't always reply is because I know the other person won't always necessarily see. Especially in this kind of format. If I had disqus where I could count on the person getting an email notification when I reply then I'd probably reply more! but you make some great points. And sometimes it's just not always feasible to respond to everyone! There are not enough hours in the day! Interesting read Becky. I tend to reply to all of my comments, not because I feel obliged as such but I enjoy reading what people have to say about my blog and I feel the only way I can show their comment has been seen/and heard is by replying, even if it's only a sentence long (which most comments are). Comments are definitely an interesting topic to discuss when it comes to blogging. I do tend to reply to every comment as I mostly get recurring blogging friends coming back and the majority of the time they do leave a meaty comment. I just feel like if someone took the time to read my post and leave a thoughtful comment then they should receive a response. I definitely see how social media fits in better (more instant, etc) but I like to keep track of blog posts/comments on relevant posts on my blog, and have social media for other discussions that can be summed up in 140 characters. I forget to reply a fair bit. Oops. Love this post. I try to reply to every comment at the moment as my blog isn't particularly big so it's manageable, but I definitely know what you mean about just saying 'thanks' it seems really insincere and pointless, especially as that person has taken the time out of their day to leave a nice comment. However, like you say, I don't really know what to say beyond that - if it was real life and someone gave me a lovely compliment I'd probably give them a hug or something but that doesn't translate over the internet! This was such a great read! I don't expect bloggers to reply to comments but I do find it lovely if they do. I try to reply to all my comments but I imagine if I had thousands of thousands of followers it starts to become a bit more difficult. Even now I find it hard to say anything other than "Thank you so much!" or "Thank you for your comment". It does annoy me when bloggers ignore you on social media though because it only takes a second to favourite a tweet. Now that I read your post it does make sense to me why you wouldn't reply but to be honest I've felt a bit offended in the past for making a comment and not getting a thank you. Not that you're obliged to thank me for anything but I still think it's a thoughtful thing to do. But I get it now, after starting my own blog it does start to get very routine to write thank you and starts sounding phony. I tend to reply to my commenters, just because I like to. I would never make anyone feel guilty for it & I will still comment on other blogs even when I know they don't reply, to support them like you said. I think people shouldn't be obliged to answer comments back, but I like it when they do if it's a good response. I don't have time for a "thanks"
Thank you! Thank you so much for writing this post! I'm only a small blogger but I don't reply to every comment because people don't come back to see if I've said "thank you," or not, I never go back to check if my comments get a reply, even if I get an email from them to say I've had a reply, I just read the reply comment in the email and it's done with imo. I have set up an auto-email thing so when I reply to the juicy comments/questions the commenter knows, and I certainly don't ignore comments, I love them! But not all comments need a reply imo. I completely agree - I sometimes find I have nothing interesting to say back, but I read every single comment I get. If someone asked a question then I'd either go onto their blog and email them about it if I think they have more chance of seeing their emails than a reply, or I'll tweet them. I loved reading this post and your views came across really well. I've actually wondered about this in the past, particularly during pretty busy times (on a string of night shifts blah blah) - I like reading comments and replying, but sometimes I find it difficult to keep maintaining the replies. I'm unemployed at the moment so finding it quite easy to reply to each and every comment, but yeh, I think I may have to employ some of your tips in the future, as I don't want people to think I'm not grateful for all their input! I agree with this wholeheartedly. I leave comments as support for the blogger to let them know I'm reading, I never check back for replies unless I've asked something specific and am actually put off leaving a comment when a system like Disqus is being used as I end up feeling spammed with emails. I feel too much emphasis can be put on comments when they aren't really even necessary and I fully support blogs that disable commenting altogether. I must admit I don't respond to comments. I never read replies for comments I leave either. It's always nice to get some feedback but I'm totally cool with not getting a reply. I also would much rather spend that time creating content! I don't reply to every comment (mostly as I found I never noticed when other bloggers replied to mine). I tend to visit the blog of who ever comments and leave them a message there (and find new blogs to follow). It works for me but its SO time consuming and why I'll never blog every day. I reply to 99% of the comments on my recent posts. I have a handful of old posts that get googled and commented on weekly even though I wrote them a long time ago. Those ones I just leave be. I've started getting quite negative commenters recently, I guess it's the way things are if you're growing as a blog, but I don't often reply to them. Such a great post. I've so so many people criticise bloggers who don't reply to comments in the groups on facebook and it really annoys me. I don't reply, what is the point, as you have said, who is actually going to come back to check? I always aim to check out that person's blog and leave a comment instead, but that is only when I have time, again as you have said, righting content is a priority. If someone asks a question I will reply on the post and also tweet them, but otherwise I think it is pointless. I always try to reply on time, but then I get really guilty if I reply and they reply back but I don't see it for aaaages, or if I reply to someone else's post and they reply and I don't see it for ages, I feel bad too...it's a vicious circle really! 100% agree about how just writing thanks all the time sounds very hollow! Also I don't use disqus (it hates me), so I find Twitter the easiest way to tell someone how much I'm enjoying their posts. I've gone through phases of responding to all comments on my blog and other times only responding to questions or particularly interesting ones. I would always take the time to check out a commenter's blog, read a few posts and possibly comment if I've something other than 'nice post' to say. At the moment I don't have comments switched on at all. I do like that Wordpress and Disqus let me know if someone has replied to comment I have left elsewhere because, being honest, I would rarely go back to check. I do find myself using social media a lot more to tell people that I'm enjoying their posts. To be honest, most of the time I only notice a reply when it's through disqus, as it tells you. Unless I've asked a question, I don't check back on blogs to see if I've had a reply. As you say, sometimes there's just nothing to reply to! I do reply to the majority of my comments, but then I don't really get very many - I'm sure I'd stop if it was a lot more time consuming! I must admit I'm not a frequent commenter. I'll probably nod and agree with a post but not necessarily have enough to say on the topic to post a comment. I do post more on conversational topics, e.g. 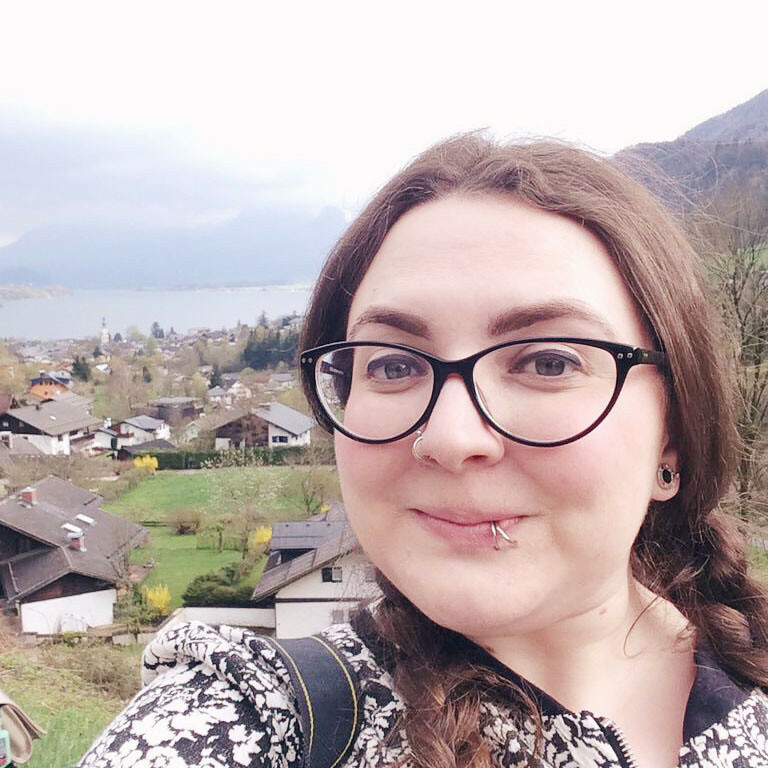 a post one blog I follow did on tattoos and tattoo ideas, and another one on a separate blog about the evolution of personal style and both are topics I think about a lot so I felt I had more to say on the subject. If it's a comment that I want to know has been replied to then I just click the little 'Notify me' box and it sends replies to my email unless I unsubscribe. This is a great post and one that people think about, judging by the comments! To be honest, I rarely reply to comments on my blog for the reasons you say, but I always try to reply to a comment or acknowledge it by going to the commenter's blog and leaving them a comment (unless it is Google+ comments which I can't do). I just think that they've paid me a visit so I should so the same. I don't have any other social media so I only have blogger to respond to. When first started I would reply to every comment, now I only reply if I actually have something to say in response.